Remember when color blocking was a trend? Well it has been a while and it seems like you girls got over it already. But then, I have decided to start adding some back into my life. I have been wearing so much black recently, I just wanted to have some colors to release some of the stress and invite a lot of joy to come back in. Haha! I am wearing Erzullie's Holiday 2010 skirt. I know right? It has been 3 years and this design is still applicable to the recent trends of today. So happy that Berna made this skirt. So what are the style tips that we can get from this outfit? #1 It's nice to dish out old trends to actually shake up your style. #2 Pops of color, as long as complimentary, is a great way to liven up your look. #3 A cropped top looks best with high waisted bottoms for a more no-so-out-there look. Have a Stylish Saturday, Erzulliestas! P.S. If you are feeling a little 'skirt-ish', check out our blog post about skirts! 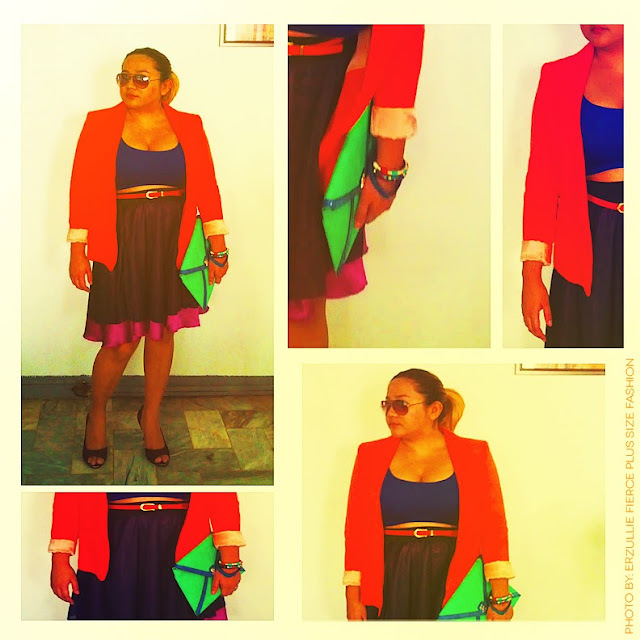 Also, if you want some fierce plus size skirts, visit our website: http://erzullie.wix.com/shop OR join our upcoming "The Fashion Feast" sale event. And of course, we now present the next item the Style Menu! Main Course #15 Black Silver Lace Detail Dress! The design is made up of a cool fabric with 75% stretch capacity that flatters the curves of the Erzulliesta, while giving comfort for movement at the same time. To add, the black-silver color of it gives you a more interesting, classic and sophisticated look without grounding the visuals too much. 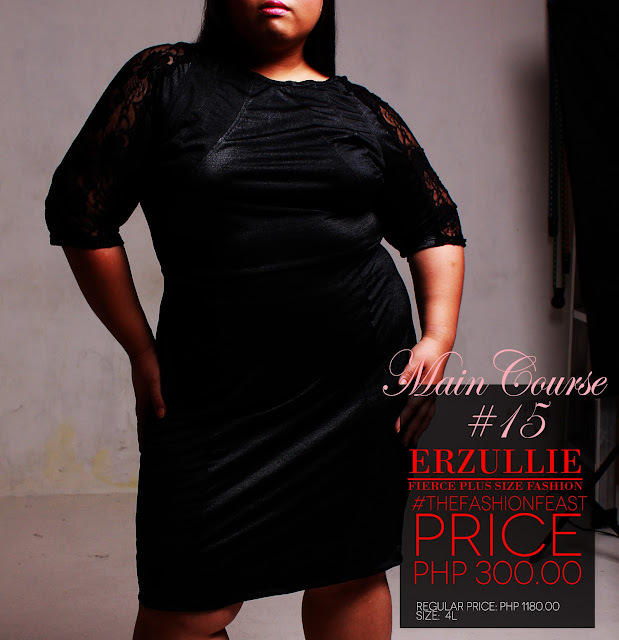 Regularly priced at PHP 1,180 pesos, for The Fashion Feast sale event, we are just going to give it at PHP 300! So think of that stylish steal and register now, Erzulliestas! We'll see you there!